Are you looking for abaft, amfc, Baft, Daft, Gamut, Haft, Hamat, Hamfat, jaamit, Kamet, Kamut, Laft, Lamat, Lamut, Mamet, Mamit, Mamut, Naft, Raft, Ramet, Saft, Samit, Taft, or Waft? AMERICAN ASSOCIATION FOR MARRIAGE AND FAMILY THERAPY The American Association for Marriage and Family Therapy (AAMFT), founded in 1942, is the national organization representing marriage and family therapists. the professional interests of more than 25,000 marriage and family therapists throughout the United States, Canada and abroad” (AAMFT n.d.) . See also the pronunciation examples of AAMFT! See also the blanagrams of AAMFT! 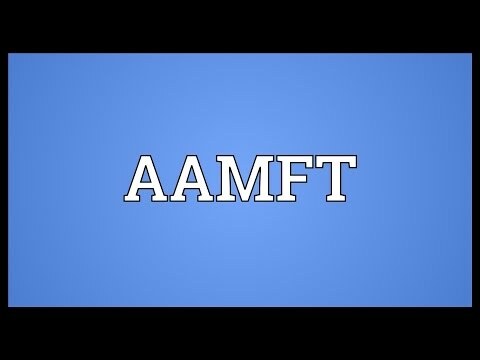 Go to the pronunciation of AAMFT to learn how to say it correctly!